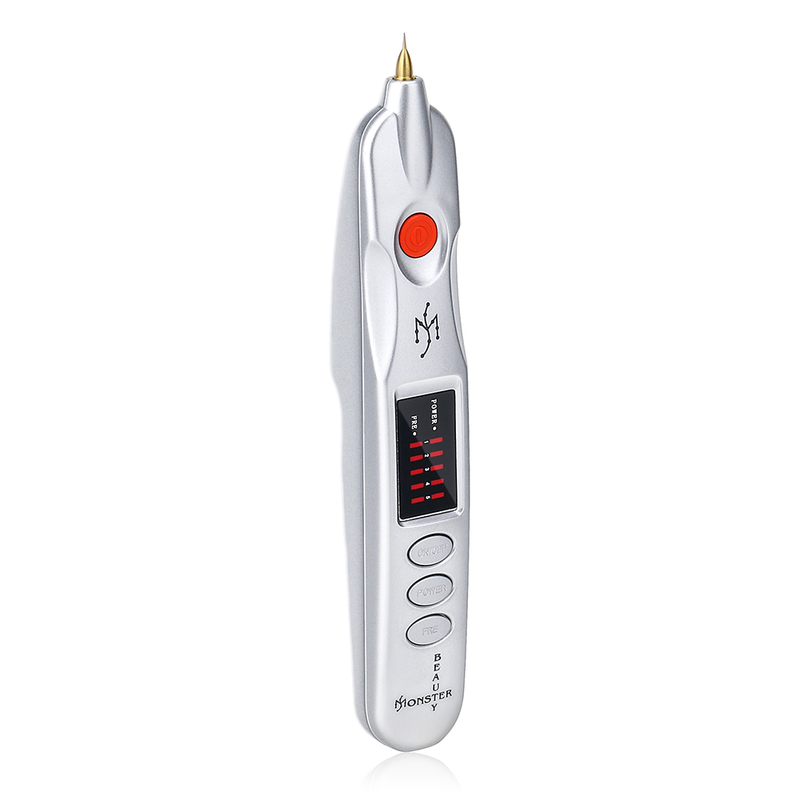 This product simplify complex laser instrumentation on the market, has similar effect of Wrinkle Mole Tattoo Removal as laser. 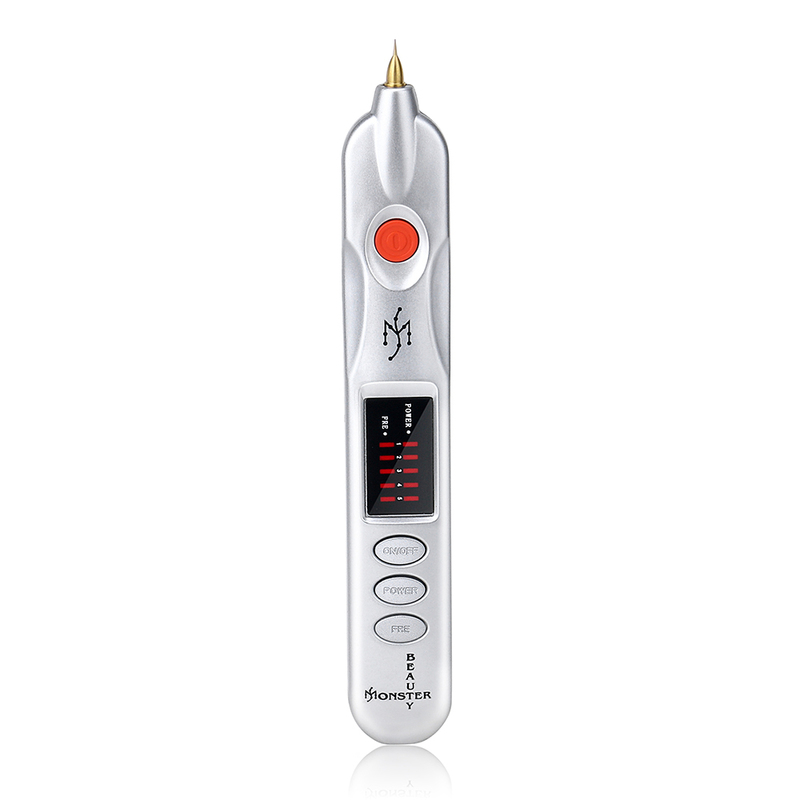 The machine adopted high technology and electric ion carbonation function, which can effectively sweep freckles instantly, senile plaques, flat moles, tattoos and wrinkles, etc. It has no bleeding in the using, no side effects after using, helps you achieve the medical beauty. 1. Stainless steel spot pens are non-toxic, hygienic, uneasy to rust for a secure use. 2. Adopted technology and electric ion carbonation function, improve your skin with incredible speed. 3. 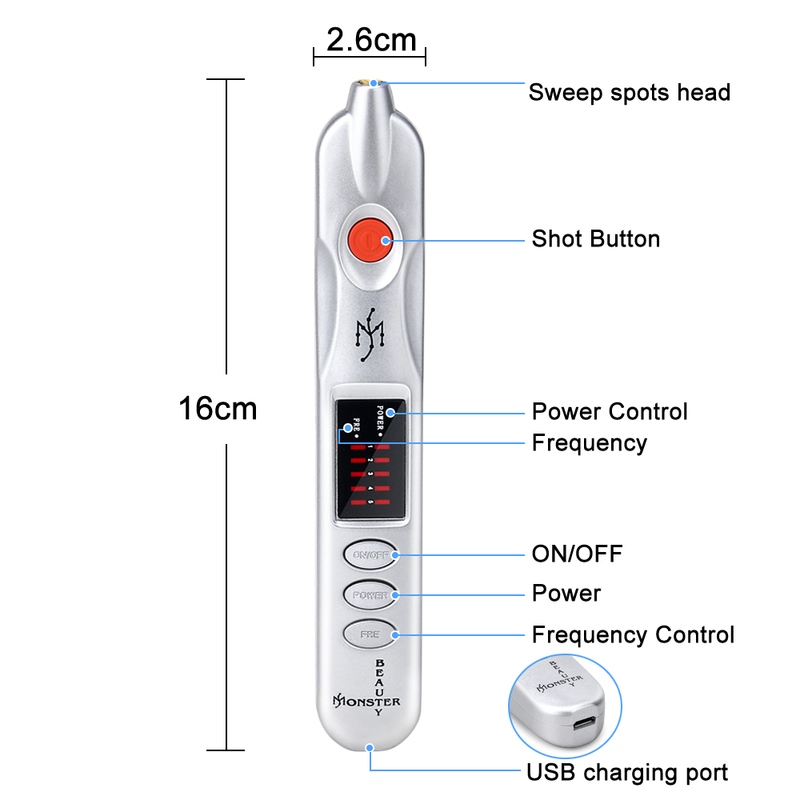 5-speed adjustable power and frequency adjustment for different treatment, which is reliable, useful and convenient. 4. 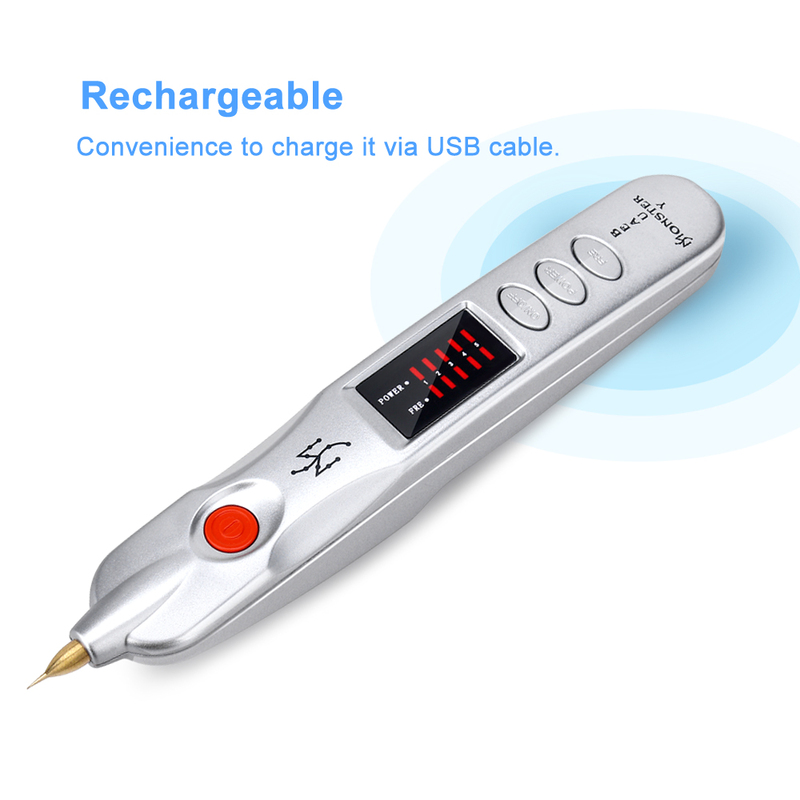 Unique electric ion technology, it has no bleeding in the process, no side effects after using, helps you achieve the medical beauty. 5. 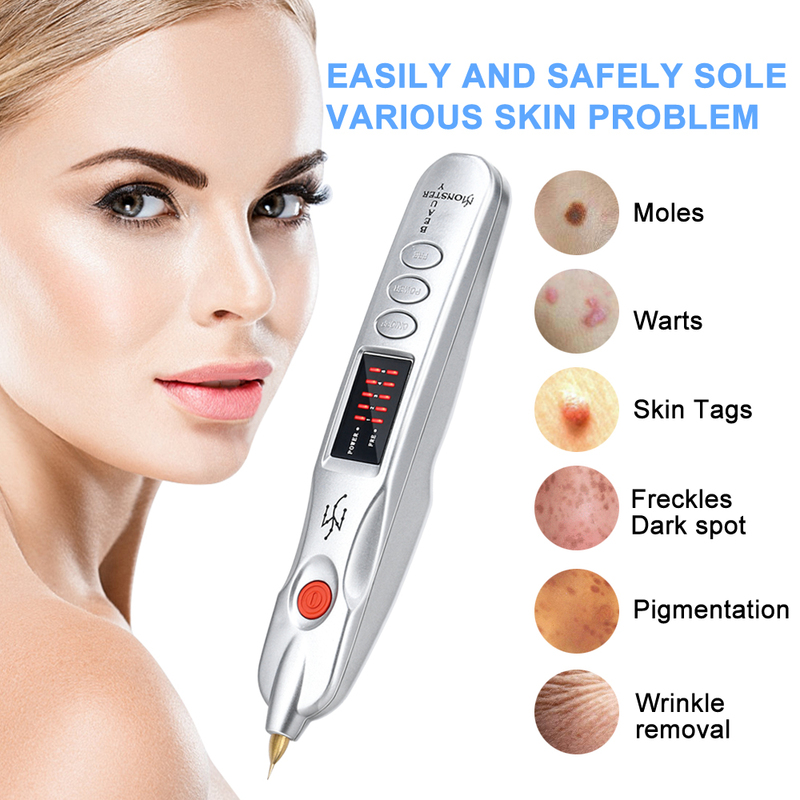 This product simplify complex laser instrumentation on the market, has similar effect of Wrinkle Mole Tatto Removal as laser and it has relatively low energy and frequency compared to the laser and the degree of skin damage is negligible. 6. Has a strong skin rejuvenation effect, can effectively eliminate wrinkles, scars, freckles, etc., make your skin delicate and soft. 7. By carbonizing and then melting melanin to reach the existing CO2. Made of lead-free brass for safe use. It can use for Moles, Warts, Skin Tags, Freckles Dark spot, Pigmentation Removal. 1. Stimulate the dermis layer of the skin, help the skin absorb the essence into the dermis layer, and promote the skin regeneration. 2. The head has a high penetration, comparable to the MTS effect. 1. It has anti-wrinkle and firming effect on the skin. 2. 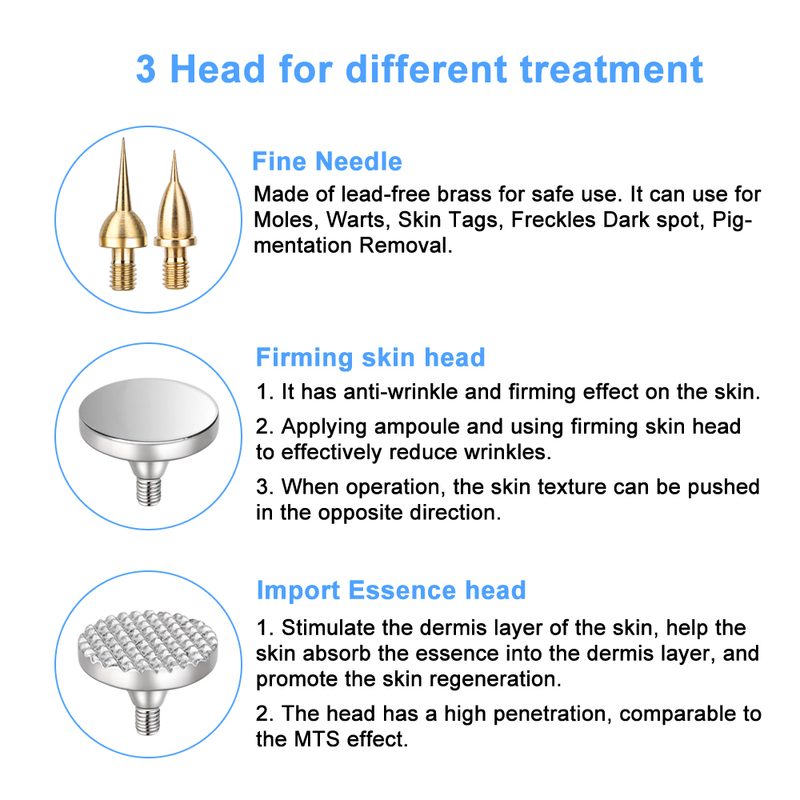 Applying ampoule and using firming skin head to effectively reduce wrinkles. 3. When operation, the skin texture can be pushed in the opposite direction. 1. 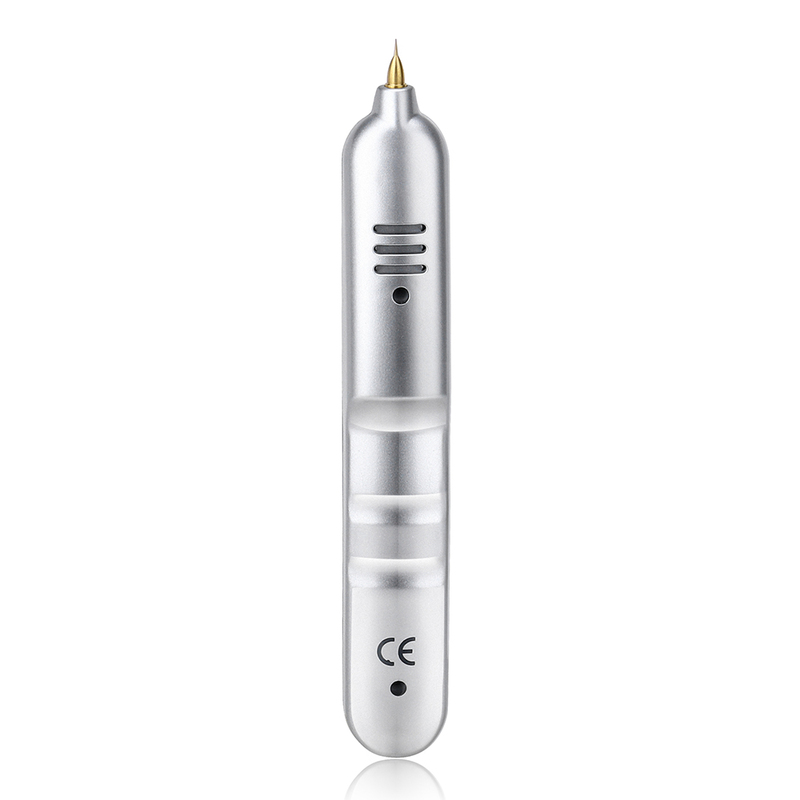 Choose the proper treatment head and install it on the pen point. 2. 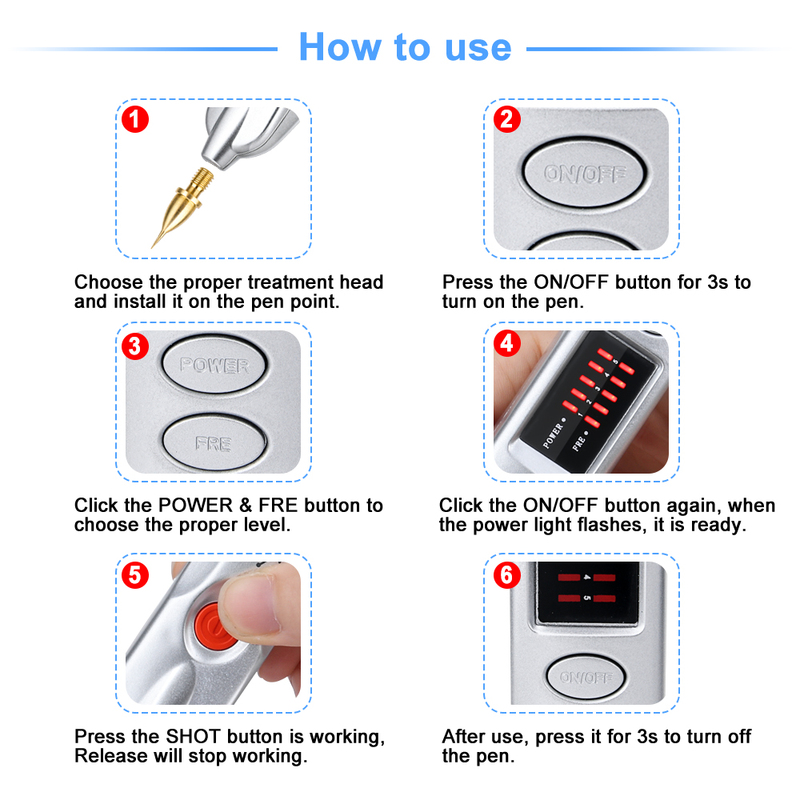 Press the ON/OFF button for 3s to turn on the pen. 3. Click the POWER & FRE button to choose the proper level. 4. Click the ON/OFF button again, when the power light flashes, it is ready. 5. Press the SHOT button is working, Release will stop working. 6. 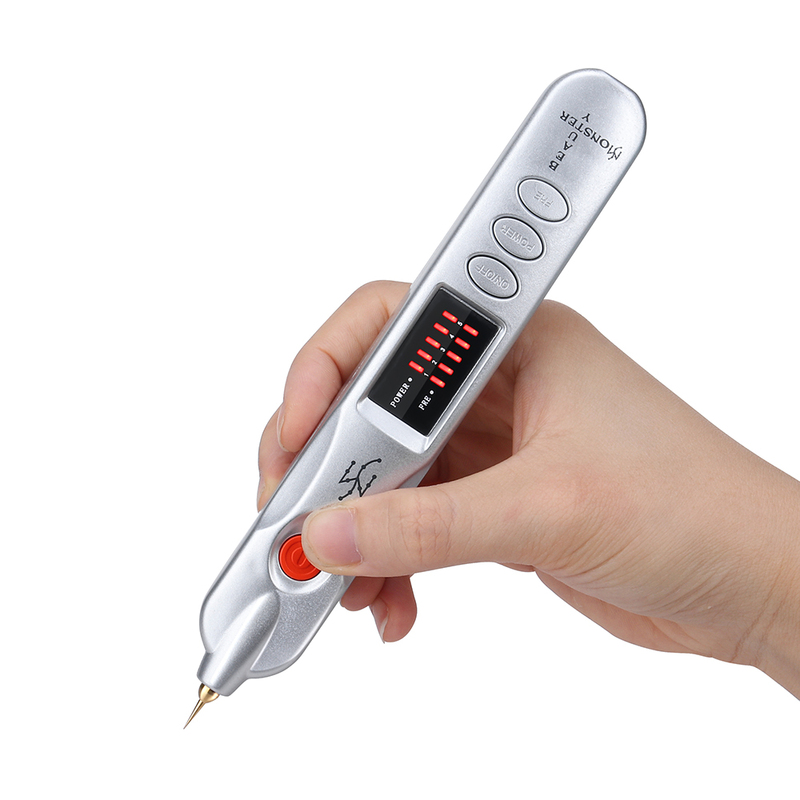 After use, press it for 3s to turn off the pen.